Situated on 1.5+ acres, this close-in Memorial estate was designed by Ed Eubanks, AIA with attention to every detail. Cross the stone walled ravine bridge to enter this European style villa. Glass encased front doors open to reception hall with 25′ ceilings. Living room with coffered ceiling, clerestory windows and prominent fireplace is a central entertaining area. A sunken onyx-clad bar services this area and the central gallery. The dining room is anchored by walnut floors and an imposing limestone fireplace. Kitchen and family dining area with barrel vaulted brick ceiling, alder cabinets, marble countertops, and a true chefs kitchen! The 1000+ bottle wine cellar is ideal for the wine collector. Exquisite first floor master suite with customized closets, resplendent views, private office, and luxurious baths. Entertain outdoors with the resort-style pool, air conditioned loggia, summer kitchen, herb garden, and putting green. Enjoy the vacation lifestyle in the comforts of home! Please, send me more information on this property: MLS# 11879194 – $18,950,000 – 526 W Friar Tuck Lane, Houston, TX 77024. 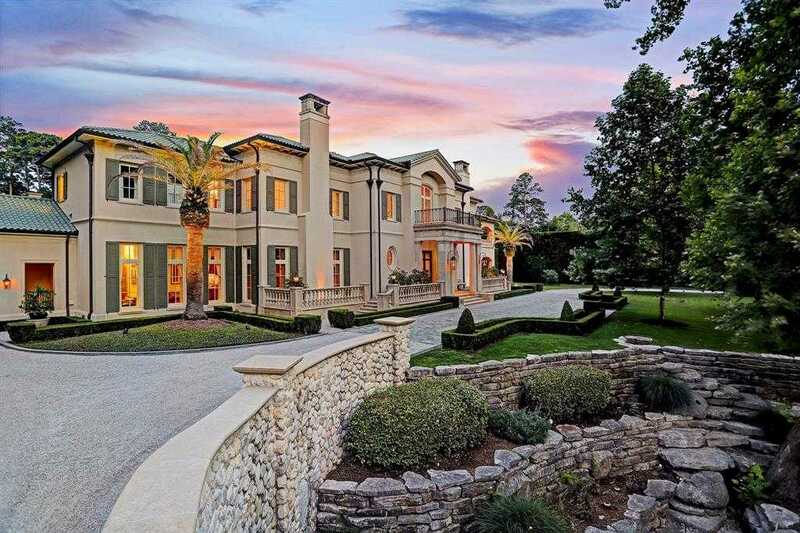 I would like to schedule a private showing for this property: MLS# 11879194 – $18,950,000 – 526 W Friar Tuck Lane, Houston, TX 77024.